Shipping is a complex and capital-intensive business. A major part of the international shipping was owned and operated by the developed western world. After the end of the World War-II, the largest merchant fleet was under the British flag. Then there were large operators in the USA, Norway, Greece, Germany, Japan, and Russian flags. Those days there existed close link among ship-owners, crew, and flag. What I mean to say that on a Greek ship you expected to see the Greek owners and the majority of the crew also from Greece. Over the years it gradually changed. British ships started to employ cheaper ratings from former colonies like India, Pakistan, Nigeria, and Jamaica. A number of ship-owners under other flags also tried the same economic path. Where the Flag administration insisted employment of own seafarers, the ship-owners opted to change for a flag that gave the flexibility. Ship-owners started changing the flag to get the benefit of cheaper cost of operation. Some of the countries ended up with more ships in their registry – far in excess of their trade requirements. This was the first stage of open registers. Not all the newly independent countries of Asia and Africa had the means to buy and operate ships. All that they had to do is to make their flags as open registers and ship-owners from other parts of the world filled in the gaps. Obviously, competition grew amongst open registers. It was no more confined to registering ships owned by other nationals. Some of the open registers reduced taxes to attract more ships. Some even introduced tonnage tax removing the need for corporate audit and tax return. Ship-owners had less head-ache with more ease, convenience, and flexibility. Most of these new open registers allowed recognized organizations/ classification societies to conduct statutory survey and certification. Another element joined this new development. They are known as labour supplying or crew supplying countries. By then air travel has become more frequent making it possible for a plane load of the crew to join or leave ships. Another new competition developed for crew training and manning of ships. When the UN Convention on the Law of the Seas 1982 (UNCLOS-82) came into being, many land-locked countries took the opportunity to develop their own shipping. 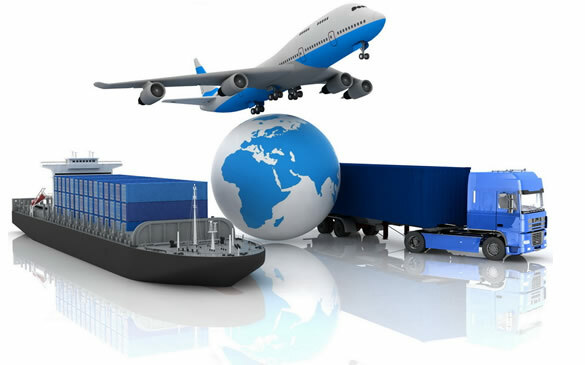 All these phases of changes eventually made the international shipping as what it is today. It has broken all monopoly and indeed become a global international business. It is good for shipping provided standards are maintained. However, one last change that we are going to discuss now is a matter of concern for all of us. Recently some of the countries are putting their flag and register with the highest bidder. They have isolated the registry from rest of the duties and functions of the administration. It is something not lawful. We must not forget that IMO and ILO are not international governments. They are UN agencies that develop international standards in the shape of conventions and protocols. It is the member states that accept and implement the standards. As soon as the ship is registered, it comes under the jurisdiction of the Flag administration. It now becomes the responsibility of the Flag state to ensure that the vessel complies with the convention requirements and maintains the standard. How can a state part away with its sovereign rights? It cannot be sold for money. It is not a business. National airlines may be privatised. Even airports may be privatised. But the department of civil aviation is an integral part of the government and that cannot be privatised. Those who have done so live in fools’ paradise. No wonder during last Assembly of the IMO we have seen delegates from Mongolia, Cambodia, Comoros and Palau were asking each other about a number of ships they have in their registers. They have no clue because they sold it to the highest bidder. Some brief-case businessmen from abroad are playing around with their name and fame. These operators are not parties to any international treaties. They have no obligation and no responsibility. The only function they have is to register ship and make money. Yes, they have to make money because they have given enough to corrupt politicians to get the licence for making money. This is what we call the flag of convenience. Good ship-owners and operators would never register their ships in such registers. It is mostly those who engage in illegal trade and perhaps carry contraband items. Often the innocent seafarers become the victim of circumstances when ships are abandoned. They remain without salary and food. Church institutes and other voluntary organizations come forward with helping hands. It is happening time and again. It is happening more because of the existence of such registers that provide shelter to crooks. Time has come for the world community to find some legal and procedural means to stop this “sale of the flag to the highest bidder”. Administration of a flag state must be located within the country. It must be operated by a department or agency of the government with full regard to treaties and conventions signed by the country. Registry of ships is just one of many functions of the administration and it cannot be separated out. The process of registration establishes jurisdiction and the administration must exercise its full jurisdiction and control to ensure compliance with internationally agreed standards. It is time that experts in IMO and ILO should concentrate their expertise to find a way forward – perhaps draft one final comprehensive convention on this matter. As an interim measure, I would request all banks, insurance, and other financial institutions to stop providing all services to ships operating under those fraudulent flags. This article is by no means against the open registers. It is for individual state and government to decide whether to operate a traditionally closed register or open register. No single solution will suit all. States that do not have the expertise may hire services of experts to work for them with the gradual transfer of technology. But putting own flag on auction must stop. It is polluting the world of shipping and causing more miseries to seafarers. I would like to call upon ITF, Church institutes, Human Rights at Sea and all other similar organizations to join hands and stop the briefcase businessmen to operate registers from outside the country.